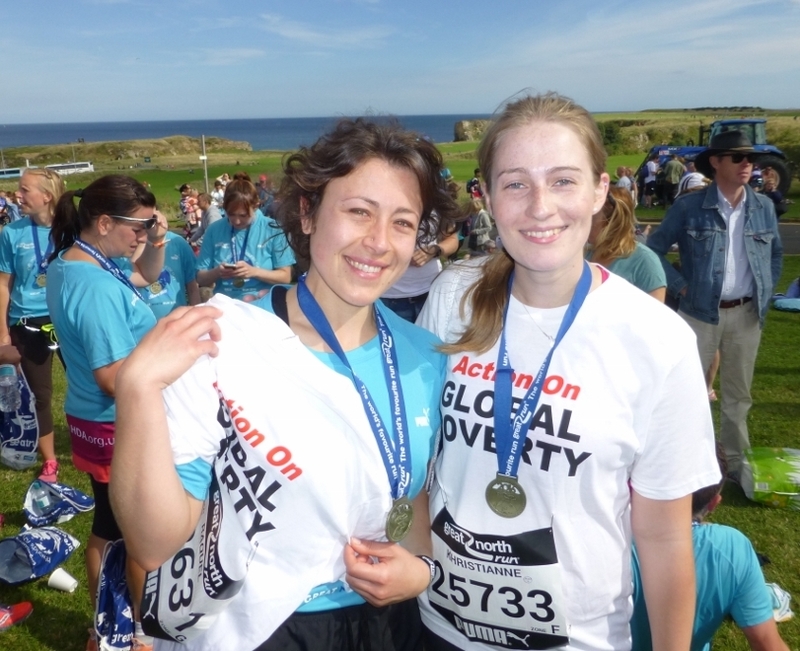 ‘Action on Global Poverty and Climate Change’! the £250,000 barrier in this, our 17th year! It has contributed to Great Global Achievements! Child mortality has been more than halved globally – reduced by more than two thirds in 74 countries (2017 data) – amazing! It confronts Great Global Challenges! It provides Great Personal Experiences! ‘The leanest team in the Run!’ It’s organised by volunteers, so no staff costs and no deductions for ‘expenses’ – unique! • Save yourself a lot of grief by letting the ‘Team Manager’ know you’re interested and getting his guidelines for entering the ballot – hard copies can be collected from the information tables/reception desks in the Ridley Foyer, Devonshire Building, and Students’ Union, or the foyer of the Courtyard Restaurant, or from david.golding@ncl.ac.uk. • If you’re unlucky in the ballot, let the Manager know immediately. You’ll have a high priority for one of the team’s 25 ‘charity places’, at the same price. 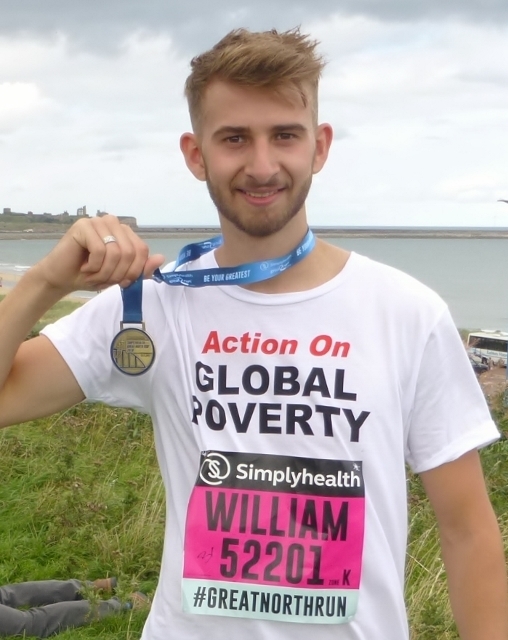 The Great North Run is the greatest mass-participation sporting event in the world and over a million people have taken part in it. Each year, it’s covered extensively on BBC 2. It’s a ‘Run’, not a ‘Race’, and anyone in reasonable health who’s prepared to take the training seriously can complete it and enjoy doing so. 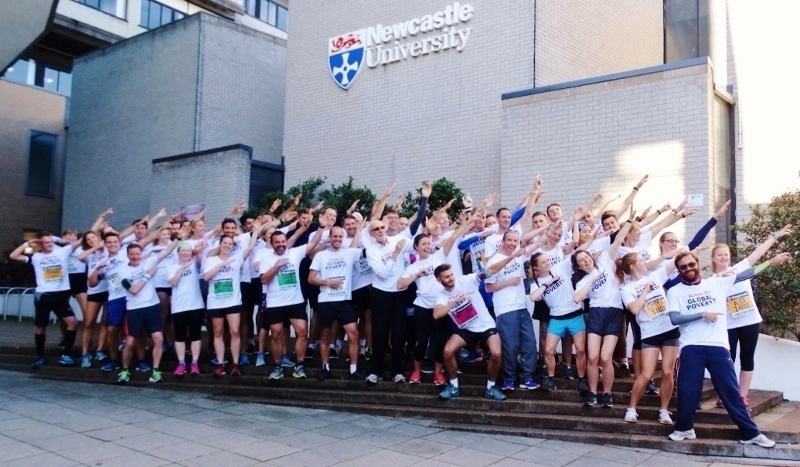 For 2019, it’s scheduled for Sunday 8th September, two weeks before the start of term at Newcastle University. and climate change by other agencies – so 10% will go to the StopAIDS (the UK’s advocacy coalition on HIV/AIDS); 10% to the national Climate Coalition; and 40% to British aid and environmental agencies for their work on global poverty and sustainability. Each runner can choose which aid or environmental agency s/he wishes to support with that 40%. 1. Pre-Run: Ready for the ‘off’! 2. 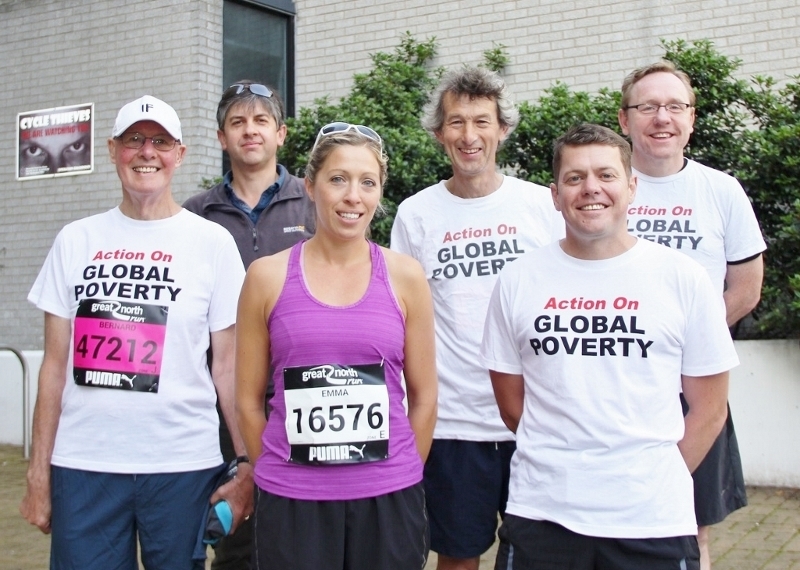 Pre-Run: The ‘Professorial Team’ (2016) (l-r): Prof Bernard Golding; Dr Phil Ansell, Dean of Sport; Prof Emma Stevenson; Prof David Leat (Team Captain); Prof Steve Vincent; Prof Phil Taylor. 6. At the finish: fly-past by the Red Arrows – a great sight! Banks Mining Company appeals against the Government’s decision to reject its application to create a new, opencast coal mine, near Druridge Bay. BACKGROUND: Banks Mining Company lodged an Appeal against the Government’s rejection of its application to create a new, opencast coal mine at Highthorn, near Druridge Bay, Northumberland, and this was heard at the High Court in London on 17th and 18th October, 2018. As Banks’ barrister made clear, the main battle over the proposed opencast coal mine, near Druridge Bay, is being fought over its possible impact on greenhouse gas emissions and climate change, which Sajid Javid, the then Communities Minister flagged up in his extraordinary decision overturning the recommendation of the Inspector whom he had himself appointed to conduct the Public Inquiry. Note by David Golding: I wasn’t able to attend the hearing, but a comment of it can be read on the website of Coal Action Network. How very different the approach of Banks Mining Company, which has taken the Government to court to try and overturn its rejection of their application to build a new, opencast coal mine within a stone’s throw of the beauty spot, Druridge Bay. Its head remains stuck in the sand more deeply than that of any ostrich! As a signatory of 2015’s Paris Agreement, the UK is both morally and legally bound to “pursue efforts to limit the temperature increase…to 1.5C” – an enormously challenging goal, which allows no latitude whatever for ‘carbon indulgence’. But Banks doesn’t seem to have noticed! Likewise, on 16th November last year, Claire Perry, the UK’s Climate Change Minister, declared that “The time for coal has passed”, when she launched the Government’s new ‘Powering Past Coal Alliance’ initiative. But this also seems to have passed Banks by, leaving it like an old record, where the needle is stuck in one of the grooves, playing the same old, tired tune, over and over again! Just so – we have to “walk our talk”! In contrast, consent for any new coal mine here would serve as a ‘green light’ for further exploitation of this most polluting of fuels throughout the world. “The time for coal has passed”, stated Claire Perry. It has indeed – and so has the time when it was acceptable for us to treat the atmosphere like an open sewer into which we can discharge our pollution. It’s time for Banks to wake up and drag itself into the new, low carbon world. 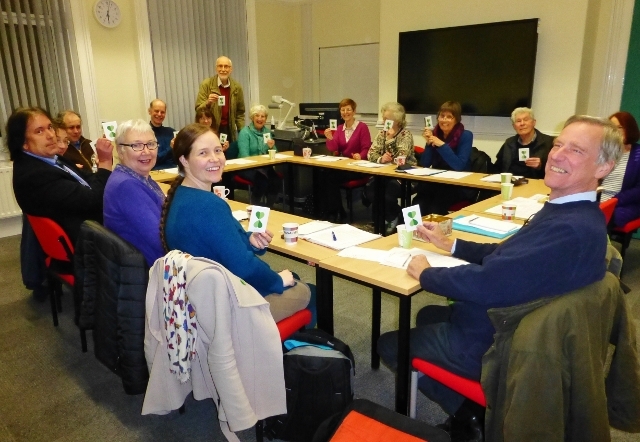 Associate, Institute for Sustainability, and Honorary Chaplain, Newcastle University; Development Coordinator, North East CALL TO ACTION on global poverty and climate change. The gathering marked 20 years since Jubilee 2000’s mould-breaking ‘Human Chain’ at the G7, in Birmingham. It revealed that JDC’s supporters are in good heart – and that the campaign still have important and innovative things to say! Among the contributors were those well known to NE-CAP, such as Ann Pettifor, the former Director of Jubilee 2000, and Nick Dearden, the former Director of JDC and now Director of Global Justice Now. David Golding was asked to give a presentation on Saturday on, “The role and importance of local groups and grassroots campaigning, both in the 1990s and 2000s, but also in the present day”. [In 10 minutes. Gulp!] The headings are as below, but the full text can be found here. “A final lesson I learnt from Jubilee 2000 (says he provocatively) is not to follow its example and stand down too soon. How many of the promises on debt relief made prior to the end of 2000 would, in fact, have been honoured, had Jubilee Debt Campaign not ‘kept their feet to the fire’? Similarly, would ‘Drop the Debt’ have been so prominent on the Make Poverty History agenda had it not been for our pressure? And would relief have been given to Liberia and Haiti? And would our leaders have passed the Vultures Bill? In each case, probably not, and from this I conclude that perhaps the greatest contribution made by grassroots campaigners to the debt campaign was the ‘right rumpus’ we kicked up at the prospect of the closure of the campaign at the end of 2000.